Braided dark brown to blonde ombre hair: This exciting, avant-garde hair design is the epitome of contemporary urban chic! From the front, the hair is lightly smoothed back, covering the ears and coming together in a low position at the nape of the neck. 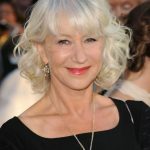 The two sections of hair are enclosed by strands woven around them in loose, horizontal bands for a trendy messy look. Finally, the hair is braided and secured with a covered elastic band leaving a couple of inches of finely tapered tips, completing the rough V-shaped outline. The intricate patterns and textures in this style are highlighted by the golden blonde dip-dye, which accentuates the fabulous texture and movement in this amazing hair design perfectly! 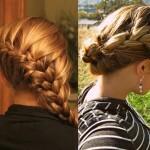 This cute braid is a perfect hair style for girls, if you like this style, why not try it now? 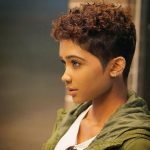 Under: Popular Hairstyles 10 Stylish Pixie Haircuts – Short Hairstyle Ideas for Women Ready for a New Cut & Color!